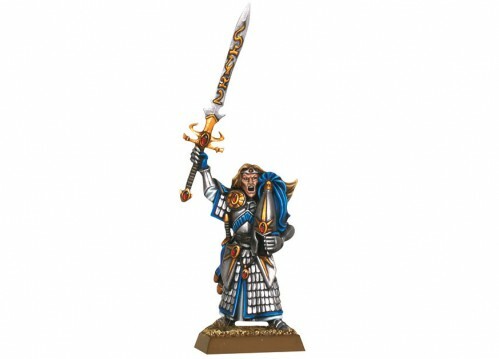 Swordmasters from Island of Blood Boxset! 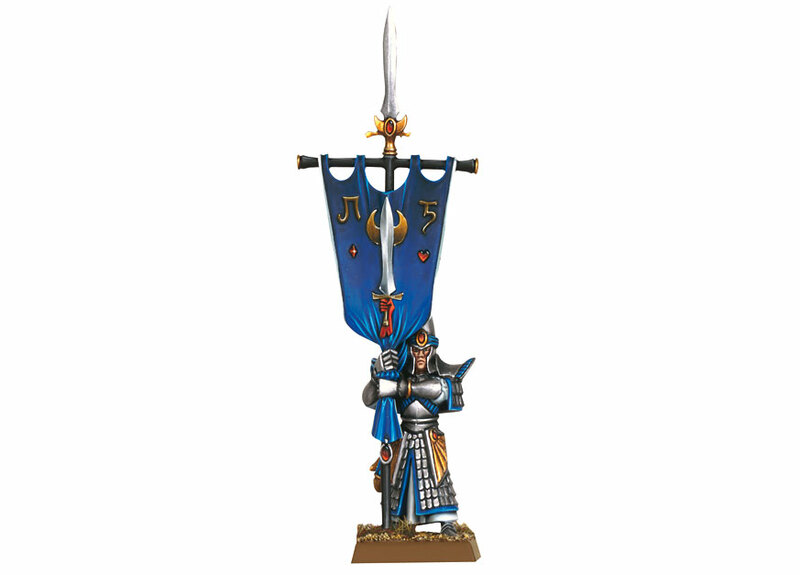 We have Swordmasters today! Pretty much the best you can get with a static pose. Sword Master Champion – Like all of the champion and character models in The Island of Blood, this model has a name: Bladelord Kalaer. 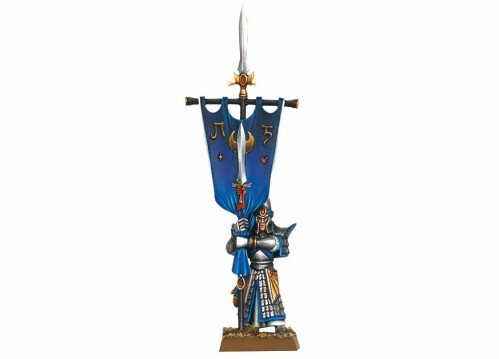 Sword Master Standard Bearer – the detail is sculpted onto this banner, which makes you need only add paint for a great looking banner. These guys soo remind me of Braveheart they should have one at the end with his arse out!